I am struck by how closely the catalogue of evasion presented in As You Like It tracks the dodgeball played by those who criticize the critics of Pope Francis’s apostolic exhortation on marriage, Amoris Laetitia, but who never engage the substance of the critics’ criticisms. Some twenty years ago, Fr. 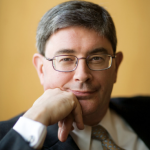 David Beauregard, a literarily-inclined Oblate of the Virgin Mary, used Touchstone’s taxonomy to challenge critics of John Paul II’s 1993 encyclical on the reform of Catholic moral theology, Veritatis Splendor. Reading Father Beauregard’s Shakespearean take on theological controversy recently, I was struck by how closely Touchstone’s catalogue of evasion tracks the dodgeball played by those who criticize the critics of Pope Francis’s apostolic exhortation on marriage, Amoris Laetitia, but who never engage the substance of the critics’ criticisms. 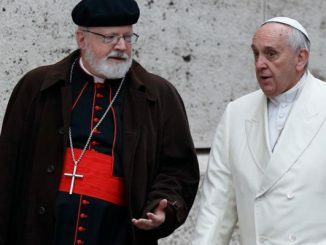 The Retort Courteous has come a little late to the game, but we now hear it from some of the shrewder and less edgy protagonists of Amoris Laetitia: The critics of the exhortation are well-meaning people, but a tad behind the curve theologically and pastorally. The Reply Churlish has not been lacking, as evidenced by several recent academic seminars: Why should we proponents of Amoris Laetitia engage its critics? We’re the future; the wind is in our sails; get used to it. 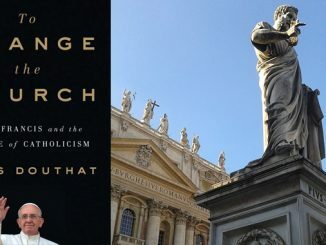 As for the Reproof Valiant, it comes in the familiar form of academic snark: Amoris Laetitia, its protagonists insist, is the Catholic tradition, and anyone who even suggests that elements of the exhortation may be in conflict with seemingly-settled matters in the tradition, or in conflict with revelation itself, is a dolt who doesn’t understand how to interpret Scripture or tradition. Then there are protagonists of the exhortation, including bishops, who claim that Amoris Laetitia leads the Catholic Church into a bright future because it jettisons the notion of intrinsically evil acts: actions that are always wrong, irrespective of the circumstances. How would Touchstone categorize them? Here we are through the looking glass, for the claim itself might seem a defense, however porous, against the suggestion of an indulgence here in the Lie Circumstantial or the Lie Direct. Perhaps Shakespeare fails us at this point. I certainly hope so. 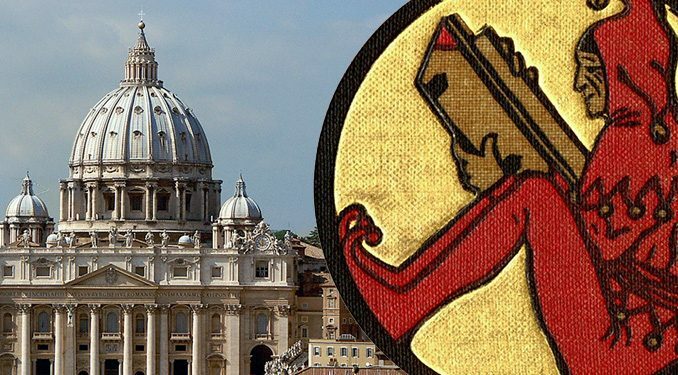 No doubt some criticisms of Amoris Laetitia have been crude and ill-tempered, assuming a malign intention on the Pope’s part that no serious Catholic should assume. But to hint, suggest, or assert that virtually all criticisms of the exhortation are stupid, or malicious, or pastorally insensitive is a very strange position for the Party of Dialogue in the Church to take. In the debate over Amoris Laetitia, we are dealing with matters of considerable doctrinal and pastoral importance. And what is at stake are not just arguments and academic egos but the happiness and beatitude that are the goal of the moral life. Surely sorting that out requires a spirit of tolerance. Tolerance comes from the Latin verb tolerare, which means “to bear with.” So genuine tolerance does not avoid or evade or dismiss differences; it engages differences with charity and civility. Perhaps revisiting As You Like It will encourage those protagonists of Amoris Laetitia who’ve been avoiding a real debate to reconsider. On the nose – simply, a pope who will not clarify what he exhorts. And then the same pope confirms he does that…intentionally. Come out in the open, Pope Francis. A wonderful article combining the genius of Shakespeare with our contemporary dilemma. Since I likely fit Quarrelsome I would ask Dr Weigel [he does have honorary doctorates] what Touchstone would invent for the following. Recently read an excellent commentary by theologian Claudio Pierantoni. He cites Pope Francis, “Tradition is a living reality and only a partial vision can think of the deposit of Faith as something static”. Dr Claudio Pierantoni in response, “I observe that certainly, Tradition is a living reality that can progress in the clarity with which it expresses the depositum fidei. But ‘Tradition’, strictly speaking, is not the same as the ‘Deposit of Faith.’ The latter is what cannot change, nor progress, nor grow, because it is the immutable Word of God, given once and for all” (Pierantoni in interview by Lifesite). Strictly speaking willful change of the words of Christ is denial of their Author. Pierantoni cites the principle of non contradiction, we can’t be different things at the same time. Repudiation of the Eternity of the Word is contradiction. If we compare someone’s orthodox statements then to their heterodox repudiation unfortunately we might best describe him as apostate. Touchstone must have an evasive word to substitute apostate. Would it be enterprising? In this day when so much is centered around “me” and objectivity is a thing of the past, clarity in guidance should be a much sought after thing. I would that those who profess to provide assistance to us lesser lights would keep that in mind with their pontifications. Thank you Dr Weigel and Fr Peter Morello. What a shame that there is much in Pope Francis that does not link with Sacred Tradition, Sacred Scripture and the Magisterium — essentials so emphasised in Catholic dogma and doctrine. Would everyone who is SICK and TIRED of this 56-years-long Civil War in the Catholic Church please raise your hands? Thank you. I agree with the stand taken by the critics of Amoris Laetitia. But this Civil War cannot just go on indefinitely. It is sickening. It is hugely destructive. I am not saying that the opponents of doctrinal novelty and error should give up. No! Never! 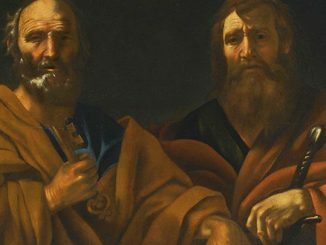 I am saying that the opponents of doctrinal novelty and error should stop doing things that accomplish nothing (like writing yet ANOTHER clever article against doctrinal novelty and error–after 56 years, who can care anymore!). Many historians have pointed out that the Lincoln Administration COULD have ended the Southern Rebellion in 12 months time, with little loss of life on both sides. Instead, the course taken by Lincoln caused that godforsaken war to last 4 years with a massive loss of life on both sides.